In which Eva Robins attempts to sell you the SideWinder peripheral range, and we attempt to stop her. Meet Eva Robins. She has the honour and privilege of being Microsoft’s Product Marketing Manager for PC gaming accessories. Which accessories? Why, accessories like the SideWinder X6 gaming keyboard, with its detachable keypad for left or right-handed play and programmable macros. Eva Robins wants to tell me about the SideWinder X6, and about the SideWinder X8 wireless mouse, with its seven assignable buttons and 13,000 fps image processing. But here’s the thing: I’m a news writer, not a hardware reviewer. I don’t care about the SideWinder X6, even though it features automatic and manual profile switching, or the SideWinder X8, despite its 30 hour battery life. I care about headlines, preferably at a rate of two or three a minute. It’s going to be an interesting interview, then. Eva starts by bigging up the SideWinder X4, big brother to the X6, which allows the player to hold up to 26 buttons at once (using his toes and/or kneecaps, presumably) without any ghosting. This is fascinating stuff. ‘We don’t have anything to announce at this point in time,’ she says. So she announces a few things about the X8 instead. Apparently it’s ‘powerful’ yet ‘affordable’, and they’ve worked very closely with PC gamers on the design. PC gamers take only reluctantly to wireless mice, it seems, because the latency is a bit whack in comparison to trusty old cables, but the X8 boasts snappy signal throughput. This, again, is fascinating stuff. Then she says something about marketing strategies. This part is worth quoting, actually. 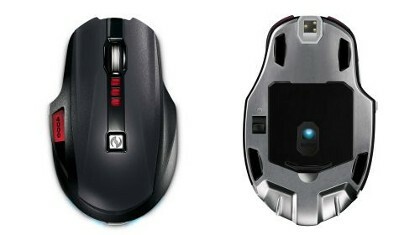 ‘It’s just trying to speak to PC gamers on their level because I understand they don’t like ‘hard sell’ at all – it’s word of mouth, if your mate played with this mouse and he really enjoys it then you are more likely to play with it as well.’ She explains that the quality of a PC gamer’s mouse can make the difference between life or death. I concede that this is plausible. After all, the X8 has an ERP of £85. In my case, it could easily make the difference between a week’s worth of food and none. The short answer is no. 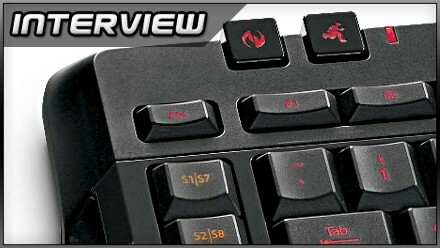 The long answer is: ‘the general feeling I’m getting, the feedback from the market – the market figures show us that PC gamers are less price-sensitive, and it’s a growing sector, PC gaming and PC gaming accessories.’ PC gaming accessories like the SideWinder X6 keyboard, with its gorgeous two-colour adjustable backlighting, and the SideWinder X8 mouse, with its edgy yet sensual black chassis. I ask her whether she thinks the growth of the PC market has lagged behind the growth of the overall gaming market. She’s got an ‘interesting angle’ on that. The X8 in all its glory. Seven customisable buttons, you know. I’m not sure the fact that PCs can have games loaded onto them is all that cutting-edge a phenomenon nowadays, but I don’t have a chance to argue the point, because she’s resumed her lecture on customisable macros and shortcuts. I decide to meet her halfway. Does she think that keyboard technology has reached an upper limit in this department? Will we see still higher levels of customisation in years to come? Or is it time to move onto another, more advanced, more flexible interface platform, an interface platform like, say (nudge nudge) Kinect? I tell her I don’t know how long a piece of string is, but if I’m ever in need of a really beefy gaming keyboard I’ll definitely consider the SideWinder X6, with its adjustable back-lighting, programmable macros, detachable keypad and profile switching. Interview conducted at Microsoft’s Christmas showcase last week. We were also given cake and a cracker, so that’s a bit of a result anyway. Posted in Interviews, Spotlight, Top 5, and tagged with 2010, Christmas, Kinect, Microsoft, motion sensitive, PC, peripheral, Xbox, Xbox 360.